One of the music industry's most iconic pieces of technology has gone the way of the Walkman, since Apple has quietly discontinued its iPod Classic players. This coincides with the announcement of the iPhone 6 and the Apple Watch, although the news wasn't announced with any fanfare. Rather, 9to5Mac points out that the Classic no longer appears on Apple's website. This doesn't come as too much of a surprise, since the most recent model of the Classic dates way back to 2008. This was the sixth generation of the MP3 player, which first came onto the market back in 2001. It was originally branded simply as the "iPod," and the word "Classic" was added after various other models were introduced. 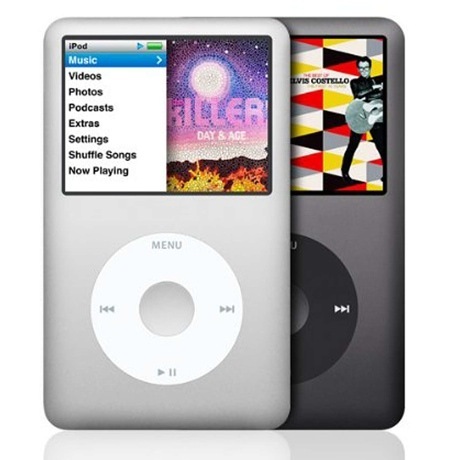 The iPod Classic was the final Apple product to have a click wheel (although the Shuffle has a similar-looking four-button design). Also, Apple no longer makes any products with its former 30-pin input. With the exit of the Classic, the remaining iPods are Touch, Shuffle and Nano.